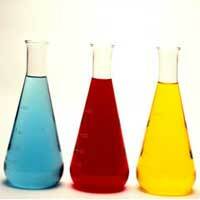 We are counted among the leading Manufacturers and Exporters of Industrial Dyes. The diverse range Industrial Dyes offered by us is fabricated from quality grade raw material and is processed with cutting edge machinery for guaranteeing quality and performance. We make available Industrial Dyes in assorted range of hues from which the customer can select depending on their necessities. 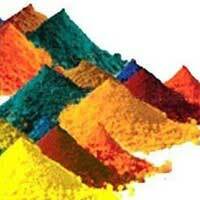 The Industrial Dyes we supply are easily available in the market at affordable prices and secured packaging. 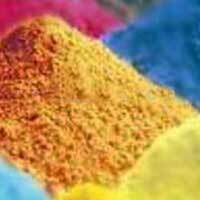 We Manufacture and Export in the market Mordant Dyes of which the important ones are the synthetic mordant dyes or chrome dyes. The mordant, potassium dichromate, is also applied as an after-treatment. 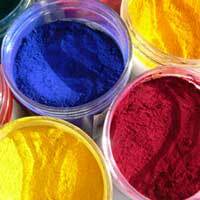 We make available to the clients Mordant Dyes in secure packing at competitive market price. 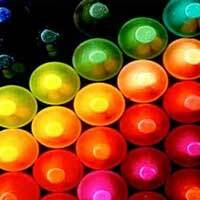 We are renowned as one of the forefront Reactive Dyes Manufacturers and Exporters from India. 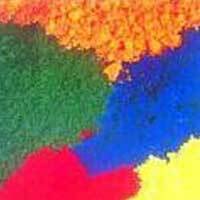 The Reactive Dyes offered by us, are high on demand in the market as these possess no better alternative in the entire global market. Clients are eased with the accessibility of the Reactive Dyes at reasonable price. We are trustworthy Manufacturer and Exporter of Vat Dyes which are duly tested by the experts on different parameters of quality so that the perfect variety of Vat Dyes is delivered to the clients. 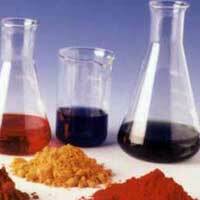 Vat Dyes is offered in competitive prices and secured packaging.